2017 is the year of digital marketing. Digital marketing is expected to further expand in the years to come. This is attributed to the continuous growth of social media users worldwide. 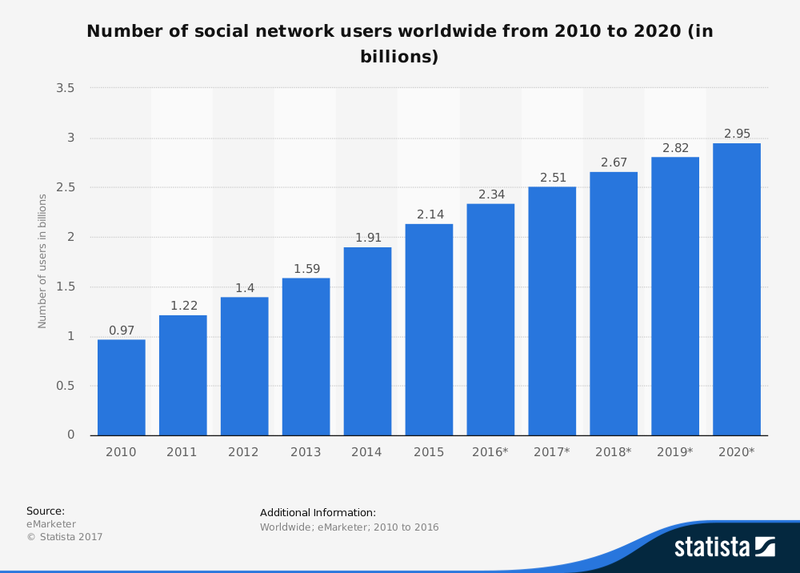 A recent Statista report suggests that the number of social network users will rise from 1.91 billion in 2014 to 2.67 billion in 2018. “Social networking is one of the most popular online activities with high user engagement rates and expanding mobile possibilities,” according to Statista. With nearly a third of the global population connected to social media sites, it’s imperative for brands and businesses to master digital marketing. How can your business cope up with the cutthroat competition for consumers’ attention? You’d need to explore content marketing trends. Content marketing, in simple terms, is a method of promoting products and services through relevant and useful content. Here’s a summary of six of the most important content marketing and social media trends for 2017. Bryan Kramer, president and CEO of California-based marketing agency PureMatter, predicts the rise of live video use on social networks.“Social with the main attraction of live video this last year will finally settle into itself and we will begin to see more business use cases. Video content will also continue to target based on deeper video analytics enabling a much higher level of personalization,” he noted. Facebook’s Go Live allows businesses to interact with viewers in real-time. Followers receive notifications whenever you go online. Other services you should try are Hangouts On Air and Periscope. One successful case of livestreaming is the candy company Trolli, which recently partnered with NBA player James Harden in the “weirdly awesome” stories for the NBA All-Star Game. The company posted an 11 percent increase in brand awareness after the campaign. The importance of social media to businesses cannot be understated. Today, people not only use Facebook and Instagram to reconnect with distant relatives and former classmates. A new study by Bain & Co., published in the Wall Street Journal, reported that 30 percent of all online sales in Southeast Asia occur on social networks. The region is home to the most active social media users in the world. Content marketing in the Philippines, Indonesia, and other parts of Southeast Asia will be in demand in the coming months. In creating your business page, place all pertinent information that a prospective customer would need at the time he/she would need your products or services. Aside from your NAP (name, address and phone), you can include a map and images related to your product and services. This can also boost your local SEO. Your 2017 content marketing and social media strategies should be less stressful, allowing you to do more in less time. Lisa Buyer, author and consultant at The Buyer Group, said: “Brands will need to fine-tune focus on the platforms that are most important to their audience and figure out how to make the most of them.” There’s no need to be on every single social media platform. You’d need to identify which channels are most useful for you and your target market. Do you know that people remember only 10% of an information they heard three days later, compared to 65% if such information is paired with an image? Yes, that underscores the power of visuals on your social media content. “Brands will be expected to take canned visuals to the next level in 2017,” noted marketing guru Lisa Buyer. In creating appealing visual content on social media, Hootsuite shares some tips including establishing and executing your style, optimizing your message for five different platforms (Facebook, Instagram, Twitter, Pinterest, and LinkedIn), and choosing the visuals best suited for your chosen platform. You’re also advised to carefully select the right imagery and pair your colors and fonts. What are the influencer marketing trends for 2017? Carlisle lists hashtag campaigns that will encourage genuine conversations among followers, creative and organic ideas, and working with powerful middle- and micro-influencers. People go to social media both to express praises and vent out frustrations over a brand or product. Social media is convenient and effective in grabbing attention. “So, all businesses need to come up with a more defined plans on how they are going to handle customer service issues via social media for 2017,” according to Melissa Fach, social community manager at Pubcon. If you have a small staff, you can opt for bots to help handle the surge of inquiries and complaints. These algorithms are currently used by large corporations and political groups to address queries and influence opinions. Bots are also among the top social media trends for 2017. For a business, it’s no longer a choice to opt out of social media. Nearly a third of the world population are active social network users and a growing number are doing transactions via these channels. 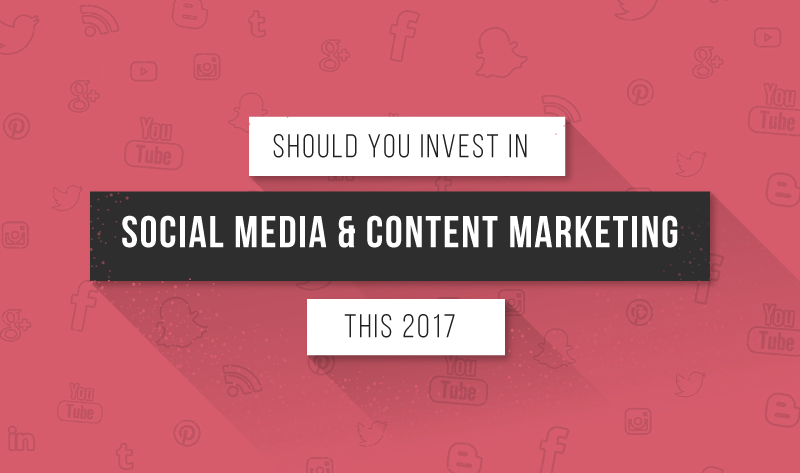 If you want to stay in the game, you’d need effective social media and content marketing strategies. 2017 is the year of live videos, social media shopping, journalistic content, visual materials, influencer marketing, and on-the-go customer service. Accelerate your approaches. If the job is too overwhelming, you can seek assistance from digital marketing experts.